Broadford Pier, where the man fell from. 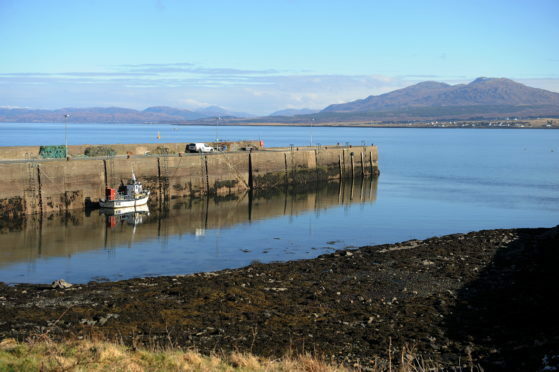 A 53-year-man was seriously injured yesterday after falling from Broadford Pier into the sea. Officers in Skye were notified of the incident at 4.10pm and attended the scene, alongside ambulance, fire and coastguard crews. The man was recovered from the water and airlifted to Queen Elizabeth Hospital in Glasgow. Portree Police Sergeant David Canning said: “Our thoughts at this time are very much with the family and friends of this male who has been involved in an unfortunate accident. “I would also extend our thanks to the public for their quick thinking in assisting to recover the male and providing medical assistance.